To be very honest, I am not a guy who likes to watch creature films. The reason being similar plots and the jump scare moments that they are filled with. 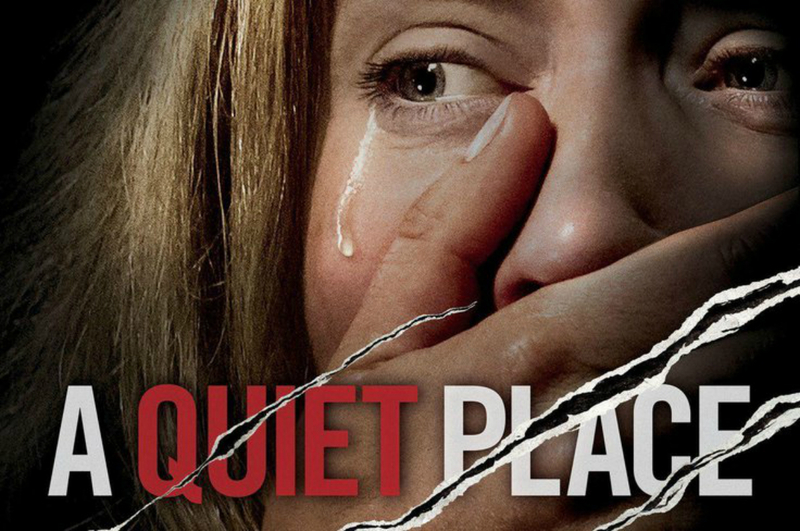 I went to watch A Quiet Place with very less expectations in my mind. But, I was wrong. It turned out to be a total surprise. Saying that I was on the edge of my seat during the entire film would be another cliche. Let me rather put it this way, I felt like I was on a roller coaster ride with no seat belts on. Directed by The Office fame John Krasinski, the film is quite a unique take on a creature film. Krasinski adds his own unique style to give the film an original and unique premise. He has also written the film along with Scott Beck and Bryan Woods. This might be one of the most tightest scripts of the year. The film doesn’t leave a single moment for you to rest and leave a sigh of relief till the very end. The setting of the story is in the outskirts of New York. The city is now ravaged by these three blind creatures who have an excellent sense of sound. They can hear the slightest of the sound from miles away and run towards the prey and catch them in a moment’s time. The town looks desolate and this family is one of the very few who have still managed to survive in these times. Kransinski, himself plays the father to three children one of whom is deaf and mute. This also is one of the reason for their survival as they have mastered the sign language due to this child and can communicate without making any noise. A pregnant (imagine giving birth to a child in these circumstances) Emily Blunt (Kransinski’s real life wife) plays the mother and the other guardian. They have somehow managed to save their children from the creature when a tragedy strikes. They lose the youngest child to the creature due to a small sound of the child’s toy. They seem to move on with their lives and this wound with extra caution. The remaining film deals with the family dealing with this loss and their survival and fight with these creatures. Each one has acted brilliantly. John Krasinski has multi tasked with direction, story and at the same time has given a great performance. Emily Blunt is one of the best actors working in Hollywood right now and she proves it once again with her performance. The best performer here is the mute child actress Millicent Simmonds who is a natural performer and does justice to her character. Noah Jupe too plays his part well. The films plot isn’t really very different from other creature films. The point where it scores are the top notch technical aspects of the films. The sound design is to the point and beautifully crafted by Erik Aadahl and Ethan Van der Ryn. It is one of the films where sound plays a very important role given the premise of the film. The sound design and the atmosphere it creates, makes you afraid of silence and sound at the same time. The sharp editing by Christopher Tellefsen too creates a tense atmosphere during the viewing. The creature’s design is quite similar to that of creatures from Stranger Things but have a huge fleshy ear which helps them to hear slightest of the sounds. I must admit that there are places which may give away the logic of the film but you tend to avoid them given the good writing and performances. Overall, the film makes a huge impact on you and you come out of the theatre shocked. It is one of those amazing experiences which are difficult to forget.